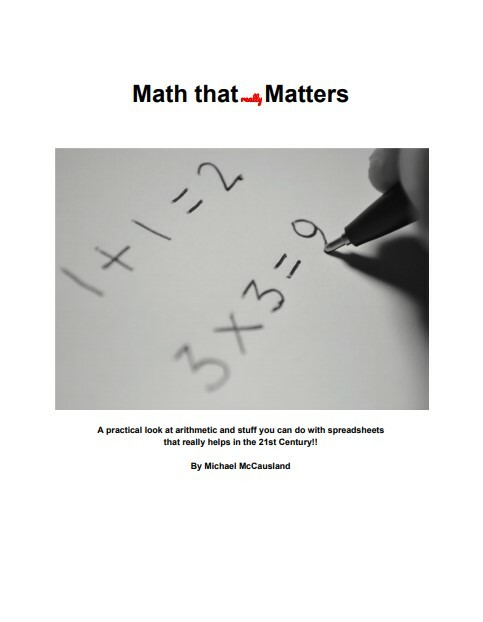 Math that Matters - Look what I made! Of course math matters, but some math matters even more. Yes math is important, but what is really important in life is the application of that math. We are taught far too much that we forget in short order and neglect the simpler math that will bring us success in life. Math that Really Matters will give you stories that should have been great life lessons in school, but weren’t. These same life lessons are even more relevant today. Get it today!! A great little read with enormous potential! Wait!! Did you know that you can get another 50% off if you get the special coupon code inside The Education Conspiracy. It is only good through April 15, 2019 so hurry. This is another great read for any student or parent considering college.